Morton?s Neuroma is a common foot condition characterized by pain and swelling in the ball of the foot, between the third and fourth toes. It?s caused by bones in your feet squeezing a nerve. Symptoms include a sharp, burning pain and possibly separation between the affected toes. 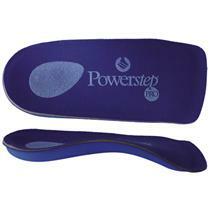 There are orthoses and corrective shoes that can effectively alleviate disturbances to foot mechanics. A podiatric physician can prescribe the best corrective footwear and shoe inserts for all activities, work, exercise, play, walking, shopping and more, based on an analysis of the patient?s foot and his or her lifestyle. Improper footwear. Podiatric physicians have long believed that constricting, narrow, poor-fitting shoes with a tight or pointed toe box tend to compress the end of the foot, leading to abnormal motion of the foot and to excessive pressure in the area of the nerve. High-heeled shoes are a particular culprit here, since they put pressure on the area around wearer?s toes and the ball of the foot. Your big toe is the hardest working toe. Every time your foot pushes off the ground, this toe supports most of your body’s weight. Because the big toe is so critical to movement, any problem with it can make walking or even standing painful. A bunion (excess or misaligned bone in the joint) is one of the most common big-toe problems. In addition to causing pain, a bunion changes the shape of your foot, making it harder to find shoes that fit. But you don’t have to hobble for the rest of your life. Bunions can be treated. With your doctor’s help, your feet can feel and look better. Bunions are the byproduct of unnatural forces and motion being applied to the joints and tendons of your foot over a prolonged period of time. They can also be caused by traumas to the foot as well as congenital deformities. Occupations or athletic activities that place abnormal stress on your feet can also lead to the formation of bunions. Bunions have a tendency to run in families, but it?s not the bunion itself that is hereditary. It?s the the foot type which *causes* the bunion that is hereditary. Also, wearing shoes such as high heels that do not distribute your body weight evenly can lead to bunions, which explains why so many women suffer from bunions. SymptomsBunions starts as the big toe begins to deviate, developing a firm bump on the inside edge of the foot, at the base of the big toe. Initially, at this stage the bunion may not be painful. Later as the toes deviate more the bunion can become painful, there may be redness, some swelling, or pain at or near the joint. The pain is most commonly due to two things, it can be from the pressure of the footwear on the bunion or it can be due to an arthritis like pain from the pressure inside the joint. The motion of the joint may be restricted or painful. A hammer toe of the second toe is common with bunions. Corns and calluses can develop on the bunion, the big toe and the second toe due to the alterations in pressure from the footwear. The pressure from the great toe on the other toes can also cause corns to develop on the outside of the little toe or between the toes. The change in pressure on the toe may predispose to an ingrown nail. Podiatrists will treat bunions conservatively, using paddings and orthotics, which are devices that are made to protect the joint or deviate pressure away from it. Sometimes bunions will develop overlying callus or corns. These can be removed by a podiatrist, but if the area is irritated again by wearing ill-fitting footwear, the corn will grow back. Most people with this condition have flat feet, so arch supports are often recommended. The type of surgical procedure performed depends upon the severity of the bunion, the individual?s age, general health, activity level, and the condition of the bones and connective tissue. Other factors may influence the choice of a procedure used. Mild bunion. For this type of surgery, the surgeon may remove the enlarged portion of bone and realign the muscles, tendons, and ligaments surrounding the joint. Moderate bunion. For a moderate bunion, the surgeon may cut the bone and shift it to its proper position. Whether or not the bone is cut depends on the severity and location of the deformity. In addition, the surrounding tendons and ligaments may need to be repositioned. Severe bunion. For a severe bunion, surgery may involve removing the enlarged portion of the bone, cutting and realigning the bone, and correcting the position of the tendons and ligaments. Arthritic bunion or big toe joint. If the joint is damaged beyond repair, as is commonly seen in arthritis, it may need to be reconstructed or replaced with an artificial joint. Joint replacement implants may be used in the reconstruction of the big toe joint. Wear insoles and well-fitting shoes to help slow down the progression of bunions and alleviate discomfort. Cushioning can also help alleviate discomfort. Consider wearing shoes with a wide toe box so they don’t crowd your toes. Children can also develop bunions and should wear properly fitting shoes as their feet are still developing. Did you know that redheads require 20% more general anesthesia than non-gingers before going under the knife? Often taken for granted, our feet and ankles are subjected to a rigorous workout everyday. Pain, such as may occur in our heels, alerts Foot Hard Skin us to seek medical attention. The fungal problems seen most often are athlete’s foot and fungus nails. Big toe joint pain can be a warning sign of arthritis. Enter the shape, color, or imprint of your prescription or OTC drug. Help!!!! !